The simplest things in life often appear the most complicated. Need evidence? Parenting and peanut butter. Before having our first child, I was a teacher. Naturally, I knew everything there was to know about parenting. Cough cough. I remember as though it was yesterday, the lines on the little stick, congratulating me on the little life growing inside my flat belly. That feeling of knowing it all, faded in seconds. The thought of parenting- feeding, raising, just birthing a child felt overwhelmingly complicated. 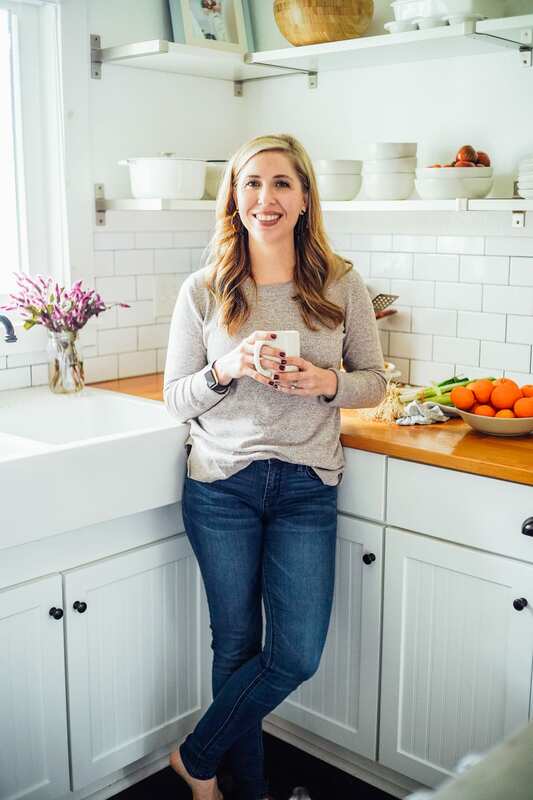 With complicated comes the feeling of not being able to perform the task at hand, so over the next nine months my belly grew along with my stack of “how-to” parenting books. If it was published, I read it. 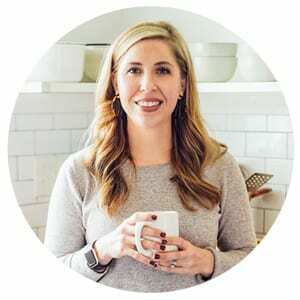 I spent way too many nights obsessing over the nursery, the correct way to breastfeed, the perfect baby-safe laundry soap, and breathing techniques. March 5th arrived along with labor. Suddenly, the feelings of complicated dissipated, naturally. Piper was born. The parenting books were shoved in the corner and my new role, which once felt so complicated, became well, simple. Easy? No. Simple and natural? Yes. March and April are birthday months in our house (Happy Birthday, kiddos! ), so reflection is bound to happen. 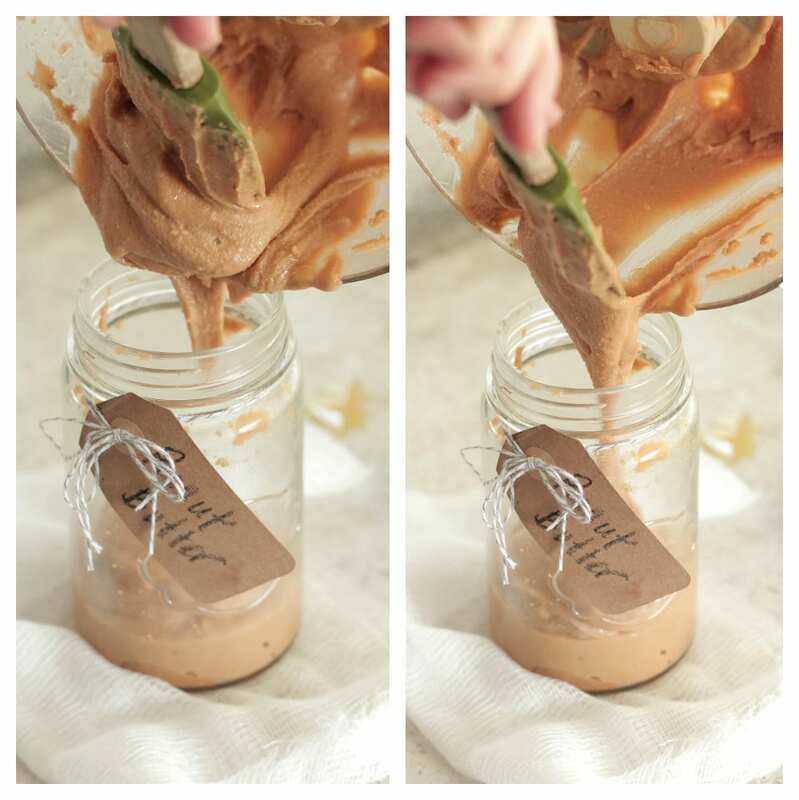 Sometimes that reflection comes with the simple act of making creamy homemade peanut butter. With two little kiddos we go through a lot of peanut butter. Served on homemade bread, with a simple course of chopped apples, or added to smoothies. Peanut butter is always stocked in our pantry. For years I’ve been purchasing small containers of freshly-ground peanut butter at store, or pre-packaged tubs. 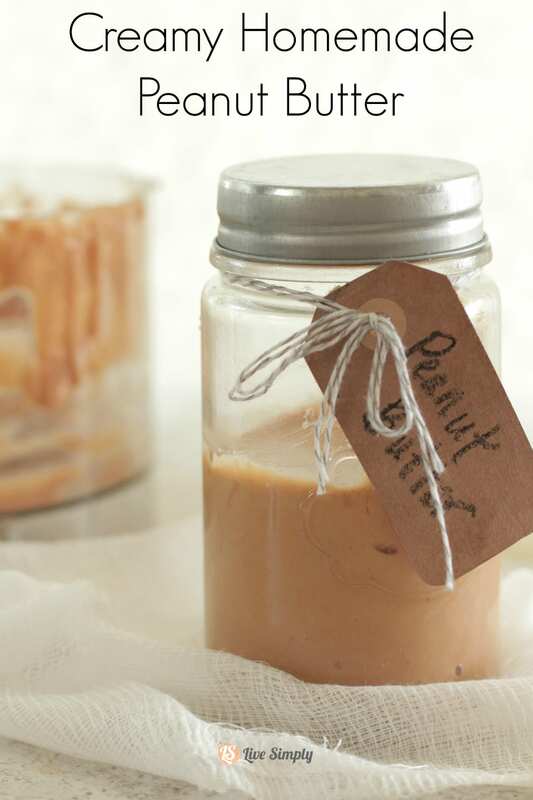 The idea of making my own peanut butter has felt way too complicated. Much like parenting. How can something so simple and natural feel so utterly complicated leaving me to trust another to perform the task? Let’s think about it for a moment. 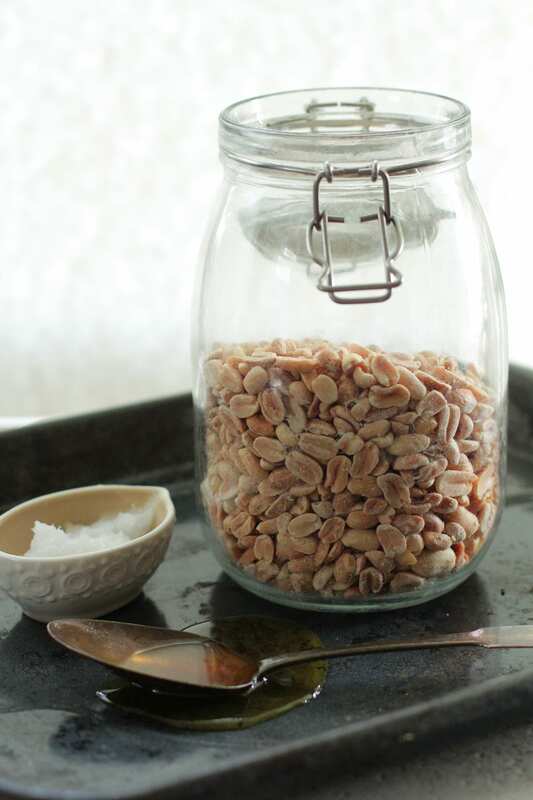 Behind the pretty packaging and the glass jars are two simple ingredients: peanuts and salt. That’s it. Simple. And usually the first task in conquering the simple-complicated, is just starting. I decided to put aside my feeling of “this is just too complicated”, after years of spending way too much money on the jar-version, and embraced simplicity. 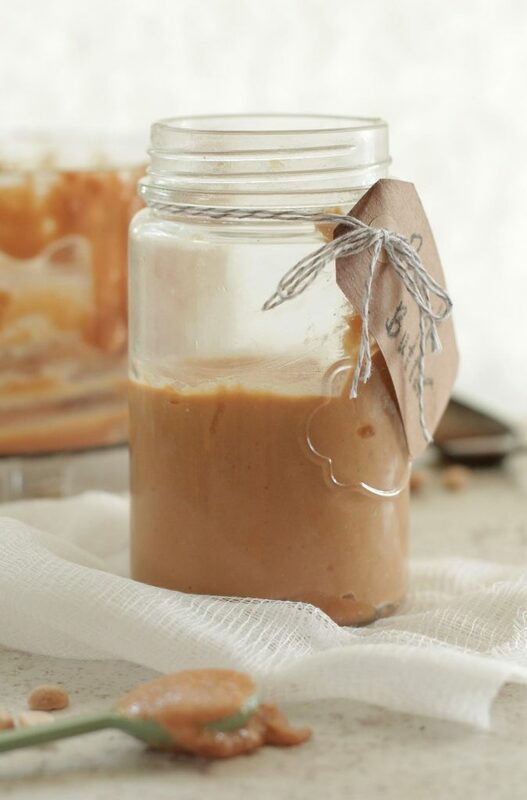 This recipe is easy-to-make, yet produces a delicious creamy homemade peanut butter that far surpasses the flavor of store-bought. Peanuts, a scoop of coconut oil, a bit of honey, a pinch of good-quality salt, and a trusted food processor are all that is needed for this delicious and creamy butter. A food that once seemed so complicated, now simplified. 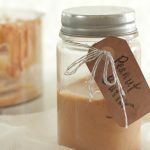 This recipe is easy-to-make, yet produces a delicious creamy homemade peanut butter that far surpasses the flavor of store-bought. 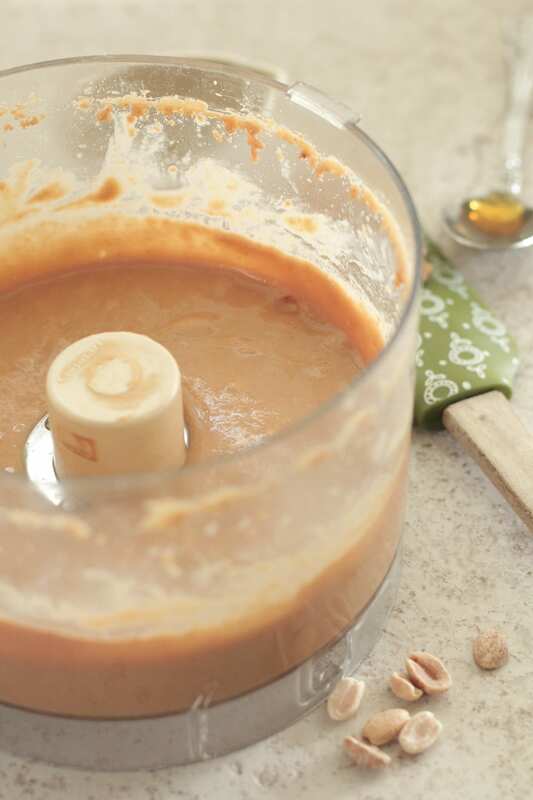 Place the peanuts and honey in the food processor. Process together for 3 minutes. Scrape the side of the bowl. Turn the food processor on and slowly add in the oil and salt (to taste), until the mixture is smooth and creamy. This can take 2-4 additional minutes. Keep an eye on the consistency, stopping when you feel you've reached the desire consistency. Store in an airtight container. This recipe lasts a week or two in our house. If storing longer, keep in the fridge. Thank you so much, Kelly :). What do you now about pesticides being used on peanuts? Thank you for your time and consideration. Hi Mrie, I usually buy organic roasted peanuts in the bulk bins at the health food store. Peanuts are grown in the ground and surrounded by a hard shell, so they do have some protection from pesticides. The great thing about making your own peanut butter is you can choose to go all organic for very little or buy non-organic. Hope that helps. How well does this keep in a lunch? I’ve been buying sunbutter for a long while but everyone complains that it gets soggy by lunchtime! I’ve found this holds up really well on bread and in lunchboxes. This sounds so good, I’m looking forward to trying it soon. Thank you! You’re very welcome, Carole. Enjoy!! I made this peanut butter tonight. This is the best peanut butter I’ve ever tasted. It’s creamy and delicious, however, to get it creamy it uses a little more than two tablespoons of coconut oil. I will be making this recipe often. I’m so glad you like it, Lenore! Enjoy!! I’m just curious. I understand that salt and honey are for taste. But why add coconut oil? does it prevent the oil going on top? Have you ever tried to make this with soya? Where I’m from all the primary school are nut free so PB is a big no no. Hey Caroline, The coconut oil helps make the peanut butter extra creamy. You can’t taste the coconut oil in the peanut butter. We avoid eating a lot of soy in our diet, so I’ve never tried using soy. A seed, like sunflowers, may work well for a nut-free version! Would this turn out the same in a Vitamix? I don’t have a good processor, just a blender. But I have been wanting to try making peanut butter! Maurieroselaine, I’ve never tried making homemade peanut butter in the blender, but my guess is with a high-speed blender (like a Vitamix) you shouldn’t have a problem. I would give it a try…let me know how it goes. I know your post is an old one, but I just saw it. I use my Vitamix all the time for making butters. It’s great for it, because it is so powerful. It only takes a couple of minutes to grind it down to a butter. You do need to use the black pusher tool (I call it a pursuader) that comes with the Vitamix, to keep things moving. Also, don’t use less than 2 cups of nuts, otherwise it doesn’t mix well, and the pusher tool can’t reach it. Thank you for sharing, Lynda! Just wanted to say that I make peanut butter in my food processor just like this without any of the extra stuff, just the peanuts. I like the taste of it without any salt or sugar (although I’m sure it tastes great with it) and if you process it long enough there is no need for the added oil to make it creamy. Just an FYI for people out there who want to make this but have high blood pressure, diabetes, or want to avoid oils, etc. Hey Cheri, That’s a great tip! Thank you for sharing. Hi I was wondering if you had any tips on how to make this crunchy PB? Should I leave some peanut chucks to the side and mix in after the food processor part? Thanks! When I want to make crunchy peanut butter, I usually add about 3/4 of the peanuts I want in the final product, process a minute or two, then add coconut oil and honey (no salt) and process again until completely smooth. Usually this process takes about 4-5 minutes total. Then I add in the rest of the peanuts and pulse for 30 seconds or so, depending on how crunchy I want it to be! Hope that helps!